Many children love having an audience. So, to create more opportunities for interaction for your elderly family members during the gathering while also receiving care services such as a home rehab in Denham Springs, LA, you may want to have the young ones in the family put on a show by singing, dancing, or performing other activities wherein they could showcase their unique talents. Not only is this an enjoyable avenue for your elderly relatives to get to know the family’s younger generation; it is also a great opportunity for your kids to develop their social and learning skills. Keep the music on low volume. Family events usually involve lively music and even livelier activities in order to encourage everyone to participate and have fun. However, your dependable home care in Pierre Part, LA recommends that you see to it that the music being played during the gathering be on low volume as well. The fact that everyone in the family may be holding multiple conversations at the same time can make it difficult for your aged family members who suffer from hearing loss or who make use of hearing aids. Make sure to take time for one-on-one conversations with your loved ones. Life can be a bit slower for seniors in their golden years. 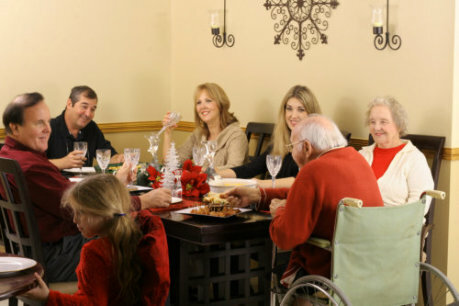 While you may not find it much, your loved ones may find a ten-minute conversation more valuable than material presents and can help them feel more relaxed during the gathering. Encourage several relatives to take turns when talking with your seniors, since the quality of their home health in Houma, LA may suffer if they don’t get rest in between conversations. This entry was posted in Family Gatherings and tagged care services, family interaction, learning skills, social skills. Bookmark the permalink.